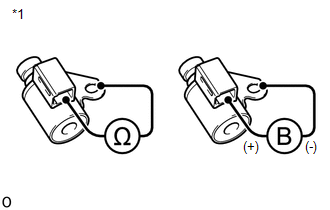 Shift solenoid valve SL is turned on and off by signals from the ECM to control the hydraulic pressure acting on the lock-up relay valve, which then controls operation of the lock-up clutch. ECM detects a short in the shift solenoid valve SL circuit when the shift solenoid valve SL is operated (2 trip detection logic). ECM detects an open in the shift solenoid valve SL circuit when the shift solenoid valve SL is not operated (2 trip detection logic). 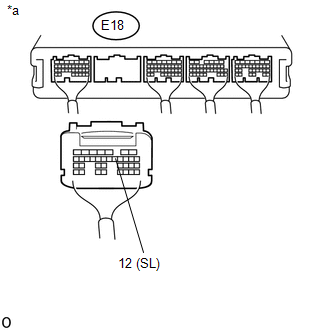 If the ECM detects a malfunction, it turns shift solenoid valve SL off. Based on the signals from the throttle position sensor, the air flow meter and the crankshaft position sensor, the ECM sends a signal to shift solenoid valve SL to regulate the hydraulic pressure and provide smoother torque converter engagement. 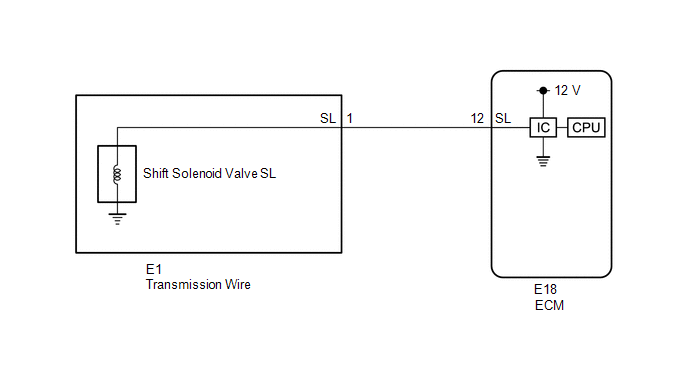 Shift solenoid valve SL responds to commands from the ECM. 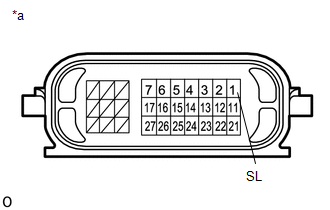 The valve controls the lock-up relay valve to perform the torque-converter lock-up function. If the ECM detects an open or short in the shift solenoid valve SL circuit, it will illuminate the MIL and store the DTC. (a) Remove shift solenoid valve SL (See page ).